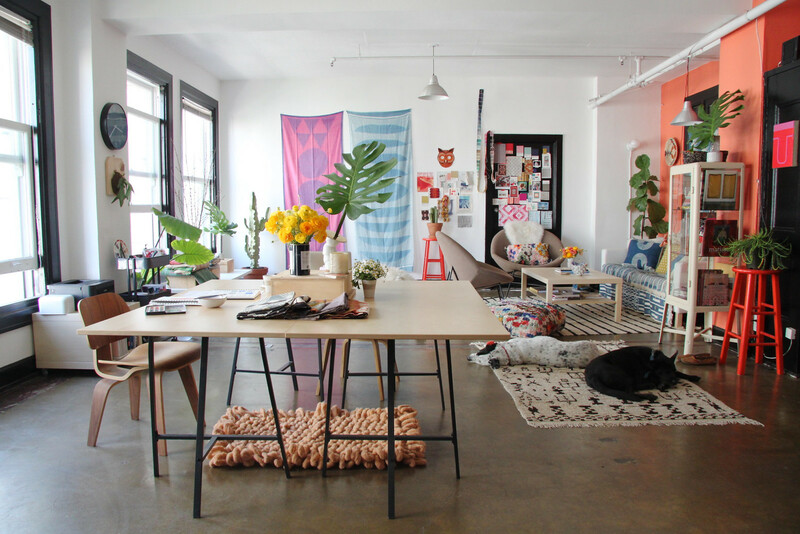 Block Shop Textiles marries the traditional Indian hand block printing process with a modern California aesthetic. 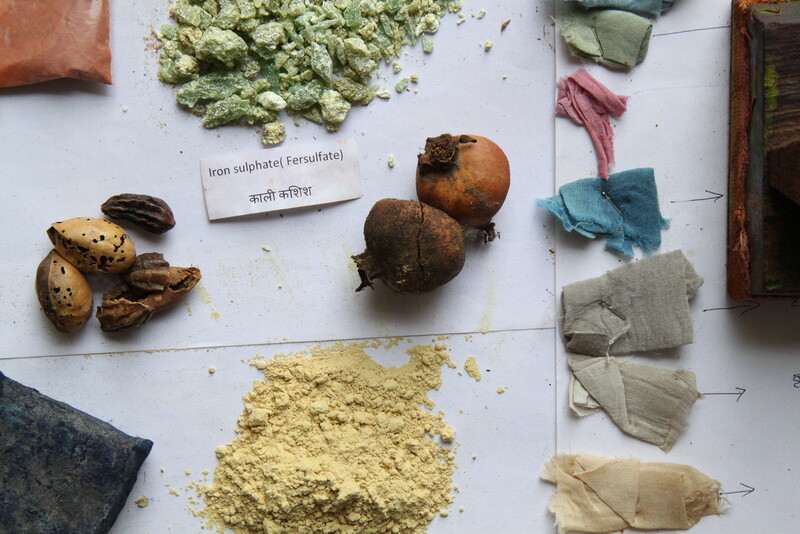 We had the opportunity to learn from Hopie and Lily about their unique craft involving an entirely manual process of designing, printing with wooden blocks, and dyeing in small batches – the same Indian tradition for more than three centuries. 1. 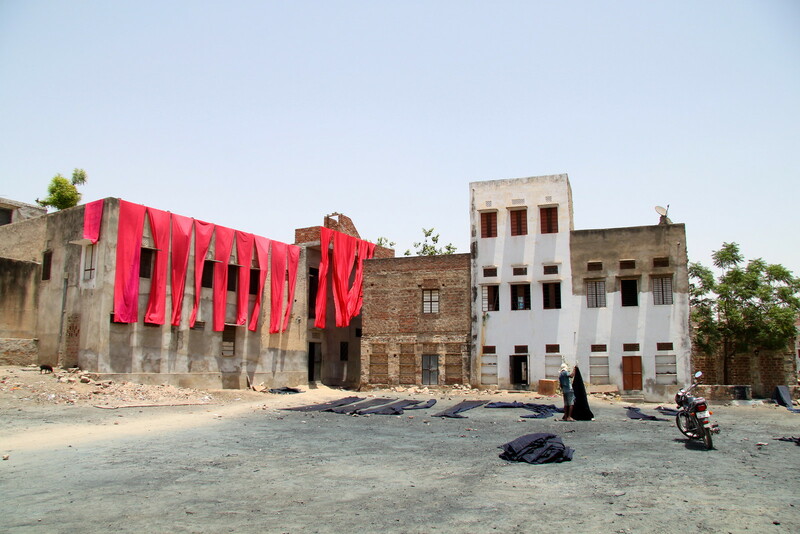 This process of hand-block printing – how long has it been a method in this region and what are some of the ways it is important to the people? 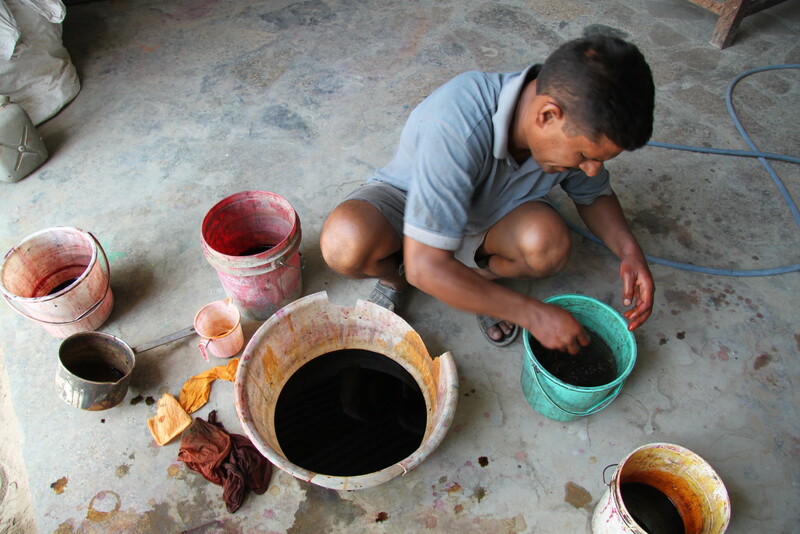 Bagru has been a major center of hand block printing in India for over 350 years. 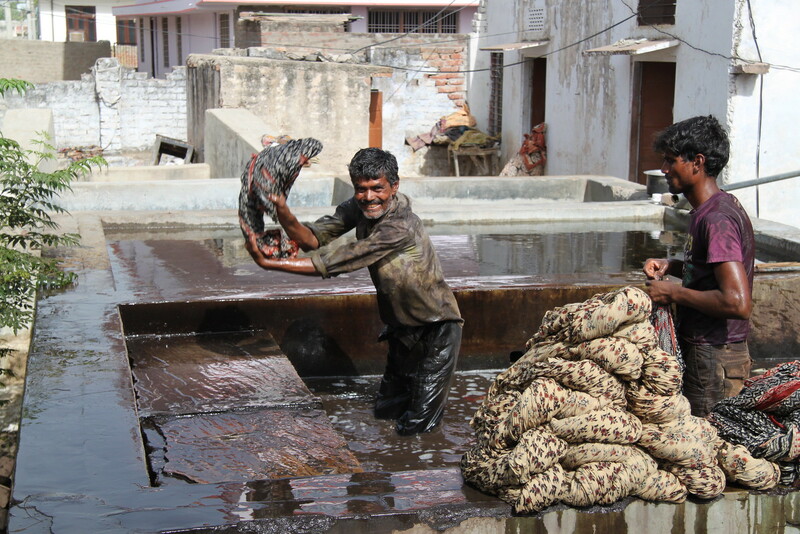 Printers set up their workshops inside their homes, which are built around a shared drying field. The process is both a major community effort as well as a family one: an entire household is usually involved in some aspect of washing, printing, drying, and folding a given textile. 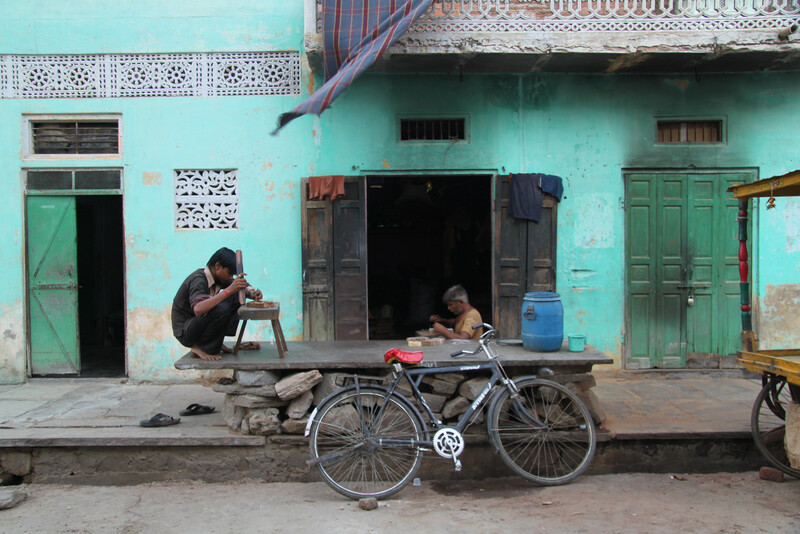 The block printing industry in Bagru has been carried on through the apprenticeship model, where the craft is passed down from father to son (and increasingly to women). 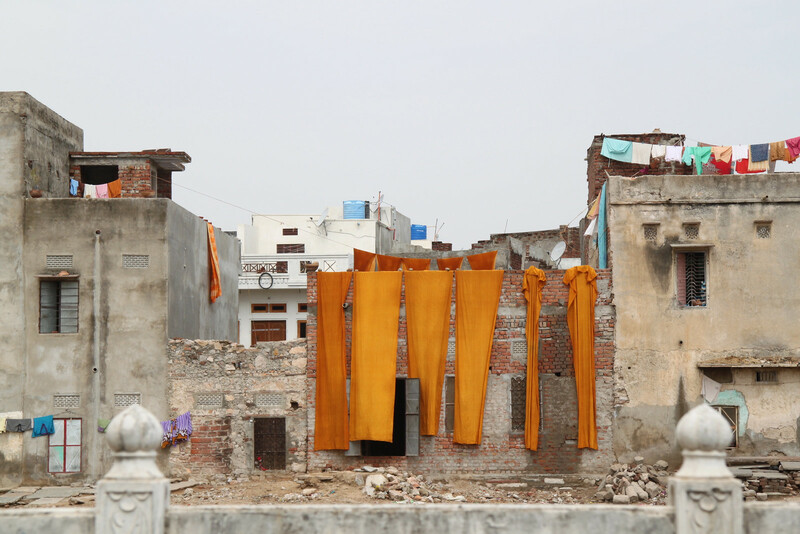 Even as similar regions of India have started chemical screen printing — a lower cost, mass-production process that often uses toxic synthetic dyes that pollute an already stressed water table — the process in Bagru has remained relatively unchanged since the 1600s. It’s a remarkable tradition. 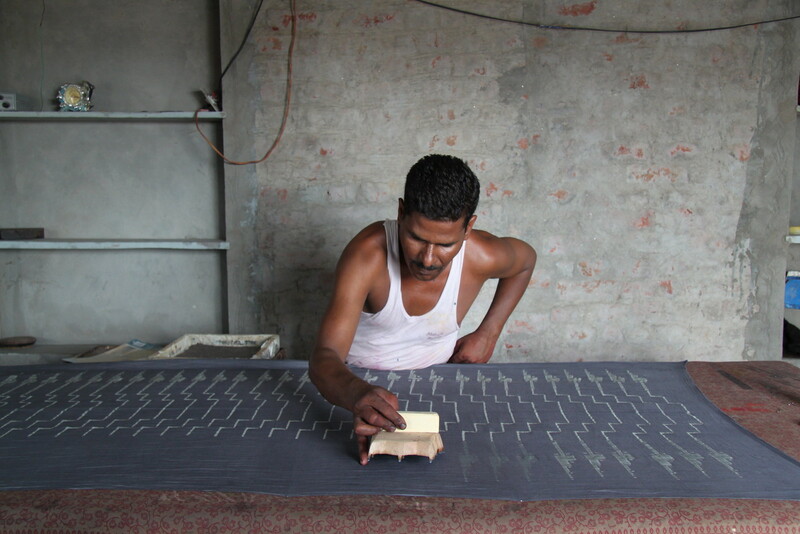 While block printing is a unique and storied art form, the reality is that it’s physically demanding, historically low-paying work. Printers now want to send their sons and daughters to university to become doctors and engineers rather than keep them at home to learn a dying trade. 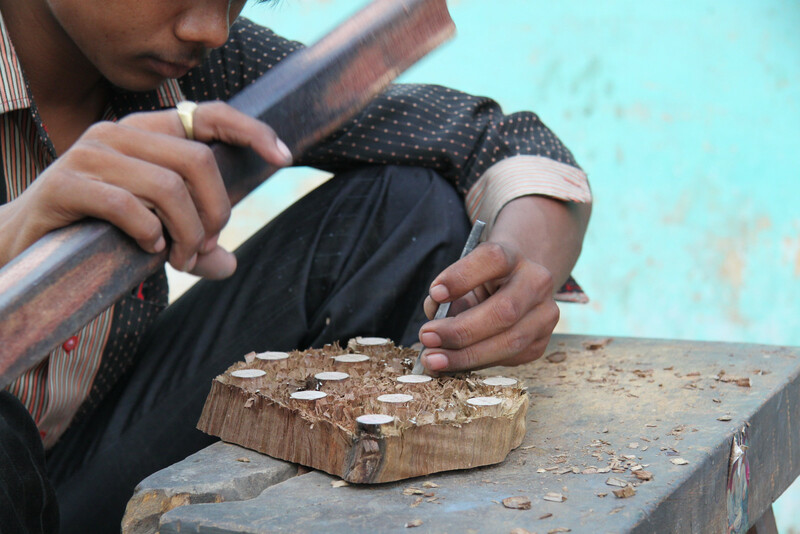 There’s no easy way to protect the tradition against either of these forces, but our hope is that by increasing wages, improving working conditions through mobile healthcare clinics, and educating customers about the beauty of handmade imperfections, we can do our part to help preserve hand block printing in India. 2. Tell us about the first time you tried block printing. 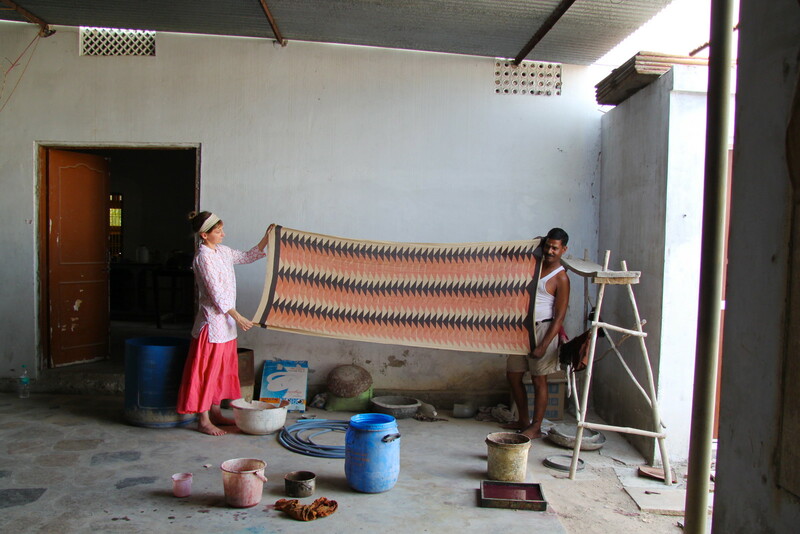 How did you get started working with the Bagru people and what drew you to this traditional process? Block Shop’s foreman Vijendra Chhipa (Viju) and I met in 2010, when my husband and I were living in Jaipur for a year. I was fascinated by the traditional printing and dyeing techniques of the city’s textiles, so a friend of mine connected me to Viju. At the time, he was selling life insurance and block printing for his father and brothers on the side, trying to figure out how to make his passion a viable full-time career. We soon began collaborating on a series of geometric designs that would end up being the blueprints for our first line of scarves. Hopie visited Viju and his family a few months later to discuss the idea of starting a business partnership and we placed our first order in 2011. Today, Viju employs a team of 18 printers in his own printing cooperative. 3. Was working together as sisters something you expected would happen? Where do each of your roles and daily tasks differ within Block Shop? We’ve been scheming up ideas and creating things together since we could walk. So, yes! Even though it didn’t happen immediately — after college, I spent five years toiling in finance, while Lily went to grad school — building Block Shop together has been the most fun we’ve ever had doing anything professionally or creatively. I now run the company full-time with the help of our amazingly talented studio director Nisha Mirani, and Lily splits her time between studios as she pursues a simultaneous career as a painter. Even when we divide duties, our bond as sisters has only strengthened our commitment to collaboration — we go to India twice a year together, we design all our textiles together, and make every decision together. We have a radical honesty policy which means that we deal issues immediately & head-on, so even if there’s a some hair-pulling here and there, we always come out on the same team. 4. Could you describe what makes the fabric of your scarves special? We spent months scouring khadi ghars and fabric wholesalers for a super lightweight but rugged material. Something that would hold a bright natural dye and a crisp shape of block print– a combination of protein (animal) and cellulose (plant) fibers. With Viju’s help, we found the perfect cotton-silk blend. 5. What would you say is the inspiration behind the designs you choose to print? What does the design process typically look like for you? We both come from backgrounds in art and draw design inspiration from our shared favorite artists — the works of Josef and Anni Albers, Sol LeWitt, and Agnes Martin have been essential in developing our aesthetic. Color-wise, we’re mostly influenced by the places where we live and work — the indigo, ochre, muted peach colors you see in our textiles are straight from the landscape palettes of Southern California and Rajasthan. 6. 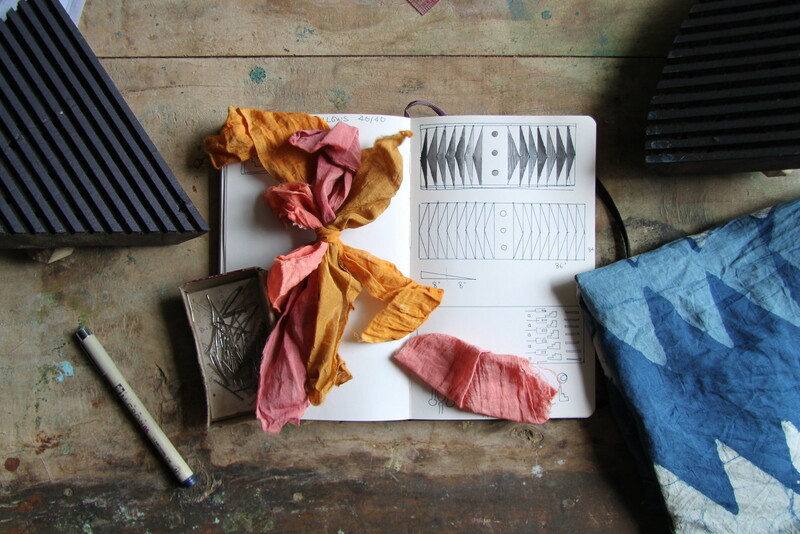 How has working with this traditional method of wood-carving and natural dyes impacted the design process? 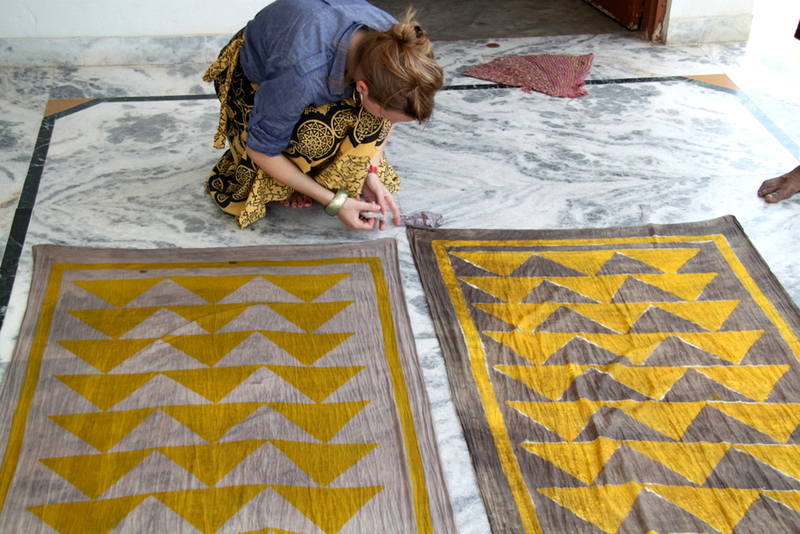 Does block printing limit your design ideas for practical reasons? We love the constraints imposed by the process because it forces us to be precise. The wooden blocks we use can be no bigger than 8 x 10 inches, and super bright or neon colors are simply impossible to create with natural dyes. So we try to push the limits of the tradition by experimenting with color combinations we haven’t seen before and creating huge shapes via multiple blocks. The result is large scale geometric compositions that you seldom get in traditional hand block prints and that have come to define Block Shop’s aesthetic. 7. Your business is reliant on a team working together across continents. How did you gather the team together – in India and the United States – can you introduce us to the core members of the Block Shop crew and their participation in the process? We spend about two months out of the year in Bagru, during which time we do all our prototyping and design work. When we’re in LA for the rest of the year, we’re constantly collaborating over Skype with our team in India. That team is led by Viju, our aforementioned foreman. 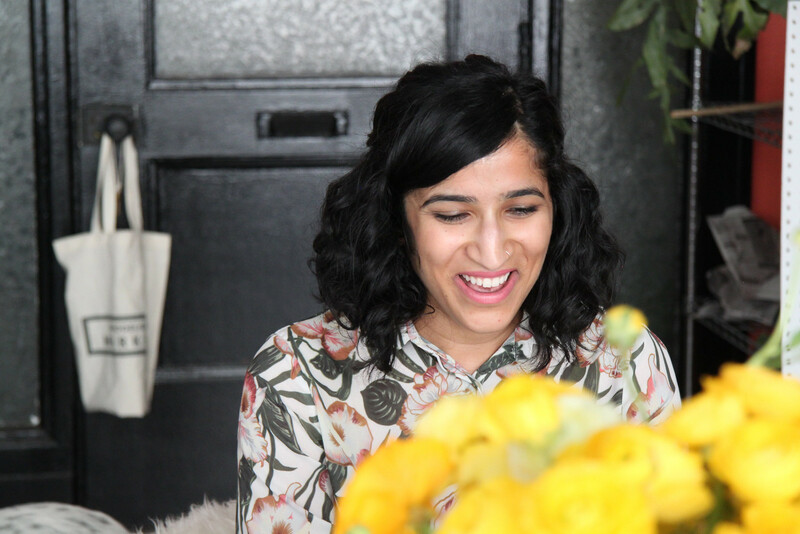 Sonia is our community manager who oversees fair wages, healthcare, and quality control. Mukesh and Chadraprakash are our two full-time master printers who work directly under Viju to form the backbone of our operation — no one does more beautiful work with such care and precision as those three men. 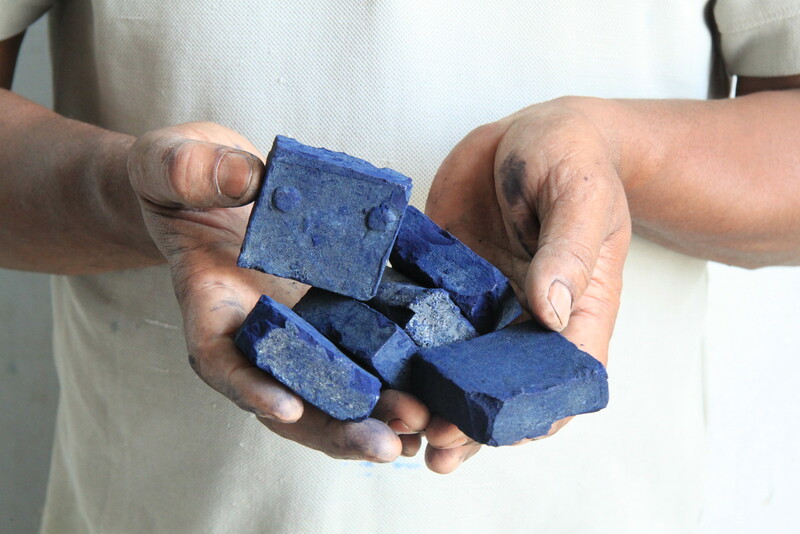 Beyond that, we have about 18 co-op members who do all the printing, dyeing, washing, stitching for Block Shop. We take great pride in the fact that working for Block Shop is the most coveted job in Bagru, and our goal is to continue creating employment opportunities for the community as our product line grows. 8. What are the rewards of returning to an ancient process: where risk is higher, the process is longer, and there is less control in each step along the way? The imperfections of the printer’s hand are what tell a story and give the piece a sense of time, place, and personality. For example, when you see our Alma scarves from our August batch, with stray mud resist drips and especially dark indigo color, there’s a story to it: in the middle of last July’s monsoon — the time of the year when we’re normally forced to stop printing entirely — the sky cleared for a few rare hours. One of our printers, Ram Babu, decided to make the most of this sunshine. He printed like crazy until the heavens opened back up. 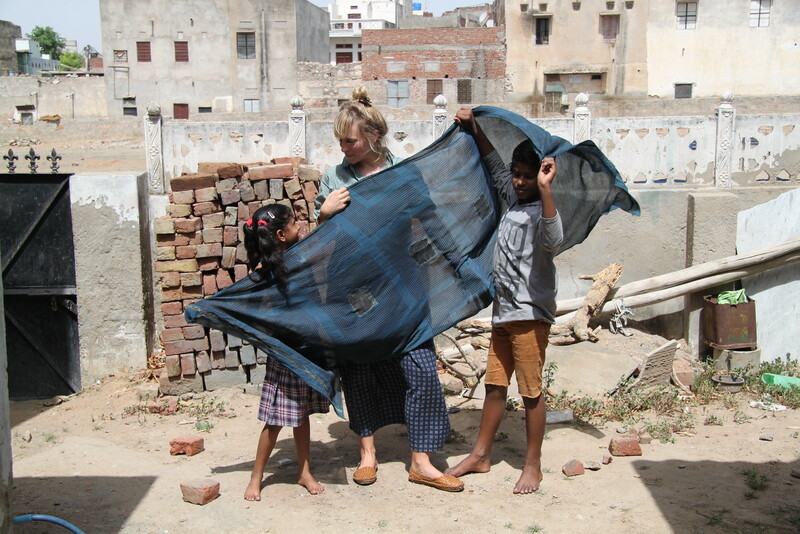 The moisture in the air caused the mud resist to slip off the fabric, and turned the indigo a stronger shade of blue, resulting in a batch of one-of-a-kind, imperfect scarves (with a story). If we didn’t love the process and people so much, we’d be in a different business. In an increasingly globalized modern economy, the rewards of our old-fashioned family business feel tangible — the ancient part of the process means that a big part our lives are now in India. We’ve created a lifelong relationship with a community of master printers and their families that will only continue to deepen. Connecting the two ends of the supply chain — sharing our customers’ stories with our printers and vice versa — makes us feel endlessly lucky to be doing what we do. This month, we are proud to release a collaborative creation with Block Shop: a duo of hand-printed scarves featuring a Poketo-inspired design. We loved working closely with Hopie and Lily throughout the process and seeing the ideas come to life through their talented team. Shop Poketo x Block Shop Textiles here.